Benjamin Netanyahu claims that the international community needs to unite and confront "Iranian aggression". TEL AVIV (Sputnik) — Israeli Prime Minister Benjamin Netanyahu called resignation of his Lebanese counterpart Saad Hariri a sign for the international community about the need to "take action against the Iranian aggression" in the Middle East. On Saturday, Hariri resigned from his post, expressing fear that he could be assassinated like his father, and accusing Iran of attempts to bright destruction throughout the region. "The resignation of Lebanese Prime Minister Hariri and his remarks are a wake-up call to the international community to take action against the Iranian aggression that is trying to turn Syria into a second Lebanon. This aggression endangers not only Israel but the entire Middle East. 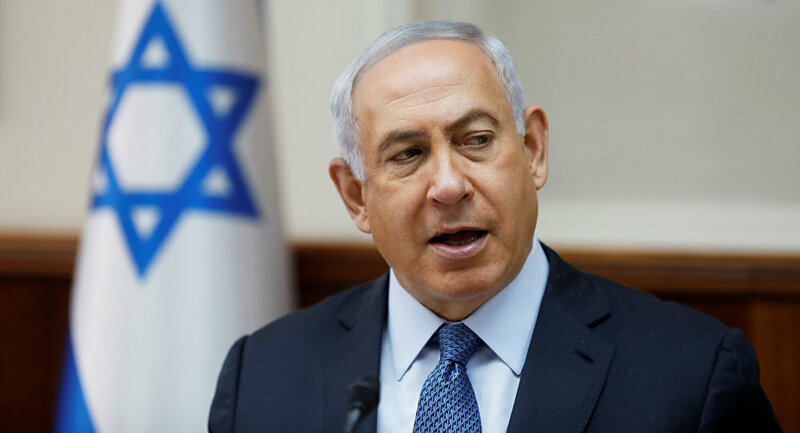 The international community needs to unite and confront this aggression," Netanyahu said in a statement published on Twitter late on Saturday. Iranian Foreign Ministry’s spokesman Bahram Qassemi, responding in a statement to the allegations voiced by Hariri against Tehran, called the Lebanese Prime Minister's resignation a "a new scenario for creating tension in Lebanon and the region." "The resigned Lebanese premier’s repetition of unfounded accusations levelled against Iran by the Zionists, Saudis and Americans bears witness to the fact that this resignation, too, is a new scenario to create new tension in Lebanon and in the region; but we believe that strong Lebanese people will easily pass through this phase, too," Iranian Foreign Ministry’s spokesman said, as quoted by the ministry’s statement. Qassemi stressed that Iran has always sought peace and stability in the region, adding that Tehran and Beirut enjoy good relations. "As the Lebanese president highlighted the good political relations between the two countries and rejected any accusations of Iran’s interference in Lebanon, the Islamic Republic of Iran, too, has always respected Lebanon’s independence and [the necessity of] maintaining stability and tranquility, and has expressed its readiness to cooperate with the Lebanese government in areas of mutual interest," Qassemi concluded. Hariri was the prime minister from 2009 to 2011 and has taken the office again in November 2016. His father, Rafik Hariri, was killed in 2005 as a result of an explosion in Beirut. A special tribunal in The Hague charged five Hezbollah members over Rafik Hariri’s murder. Hezbollah, established in the 1980s, is a paramilitary and political organization originating in Lebanon's Shiite population. The group initially aimed to end Israel's occupation of Southern Lebanon. The Lebanese government includes Hezbollah members. Iran is Hezbollah's close ally. The Lebanese group fought a war with Israel in 2006, and is considered a terrorist organization in the country. In Syria, Iran supports the forces of President Bashar Assad in the civil war against various opposition and militant groups, raging since 2011.